Through the good times and the bad, they've always stuck with you. 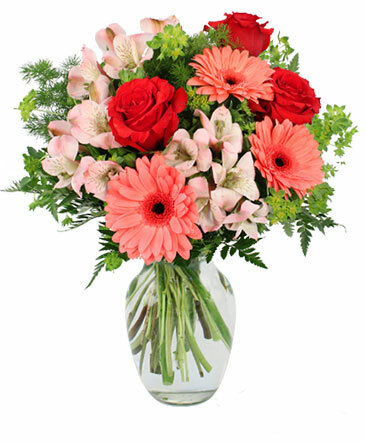 Add joy to their day with this blooming collage of red roses, coral gerberas, and light pink alstroemeria. 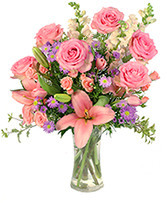 Order these fresh flowers online today! 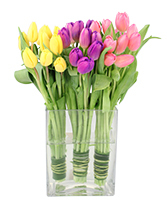 An elegant display of tulips in lavender, pink, and yellow expertly displayed in a tall rectangular vase. 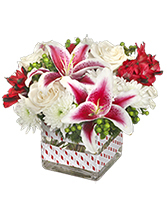 This arrangement will be beautifully crafted and delivered fresh! Call to order today! ***Please note colors may vary according to availability, please call and let us know if you have any questions!